This sign has probably been up for more than 25 years…! The sign reminded me about the ways in which the conservation and regeneration of heritage sites can provide a focus for hopes and aspirations for the future. 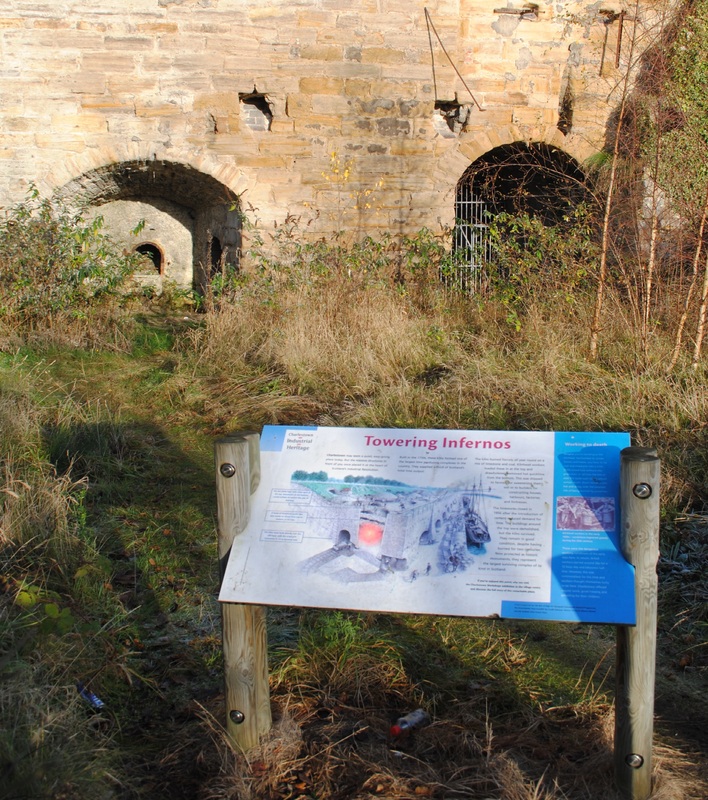 The sign is located on the side of Charlestown Limekilns, Fife, which were originally constructed between 1759 and 1790. 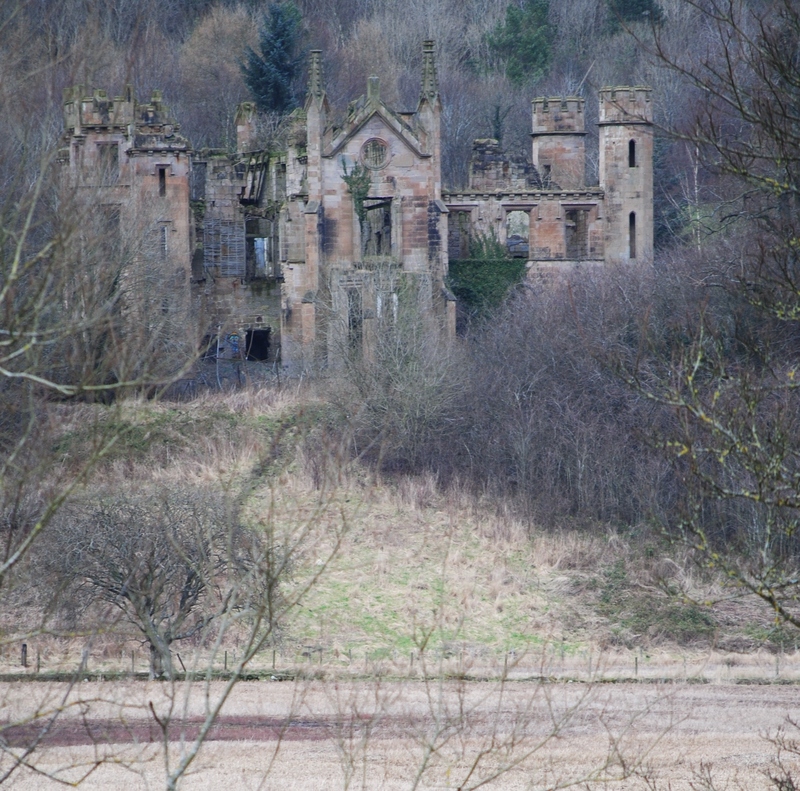 When I last visited the site in 2012, this nationally important heritage site was partially overgrown and had obvious significant conservation needs. The sign is also a reminder of other difficult economic times, which were also very turbulent in social and political terms for many parts of the UK. The ‘Community Programme‘ was one of a series of government training schemes of the Manpower Services Commission (MSC) which attracted a lot of controversy at the time. However, through MSC many archaeological excavations and heritage restoration projects were undertaken in the early and mid 1980’s before it stopped in 1987. 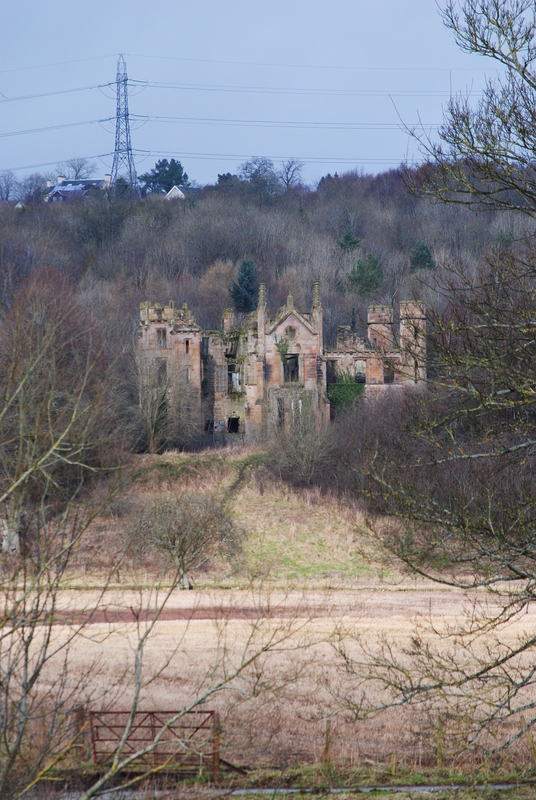 The lime kilns imposing industrial forms, were constructed from stone quarried from the sandstone cliffs of the raised beaches of the Firth of Forth, against which they were built. They now comprise a small network of spaces which made up the bank of kilns. The functioning of the kilns is explained in interpretative signage, showing the scale of the operation which was as much focused on the upper surfaces of these massive structures. 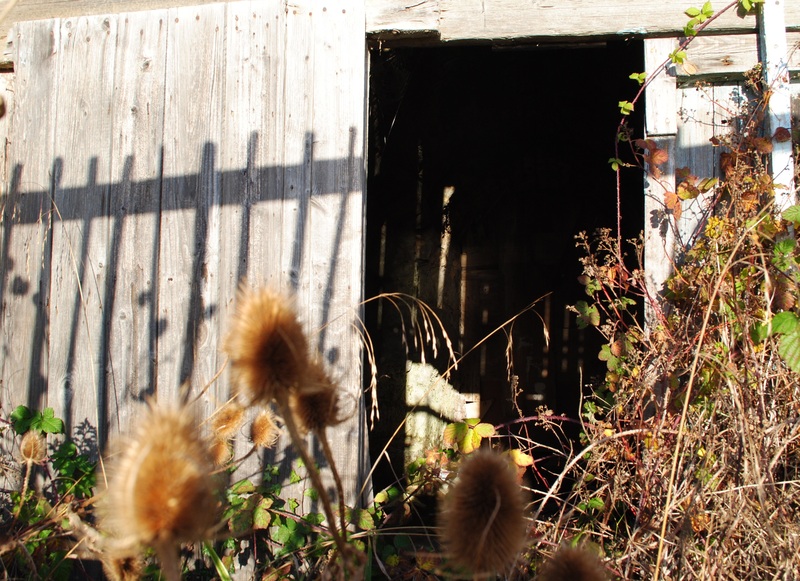 Two of the kilns, had clearly been re-purposed, wooden shuttering creating what may have been workshop or storage spaces, probably during the 1980’s Community Programme Project. I don’t know whether these timber insets were planned as no more than a temporary reuse. 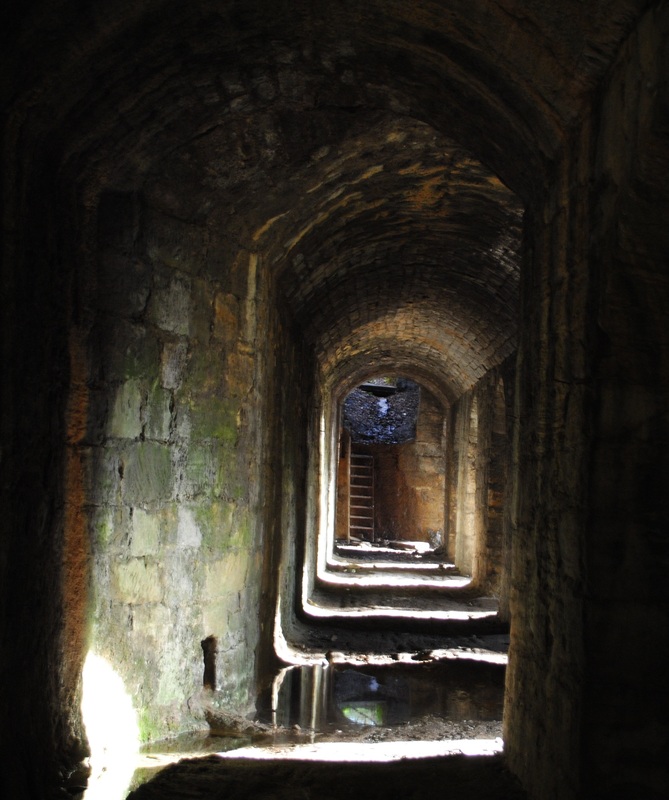 Or perhaps the intention, the heritage future of the past, was to convert all the kilns to a more permanent reuse, which no longer became possible when the MSC funding was cut. Imagined futures of the past then remaining derelict to this day. However, when we look back on other examples of heritage futures of the past at such difficult times we can see different results. One example is the industrial cotton mill village founded in 1784 by David Dale and Richard Arkwright and now transformed into the internationally important New Lanark World Heritage site. 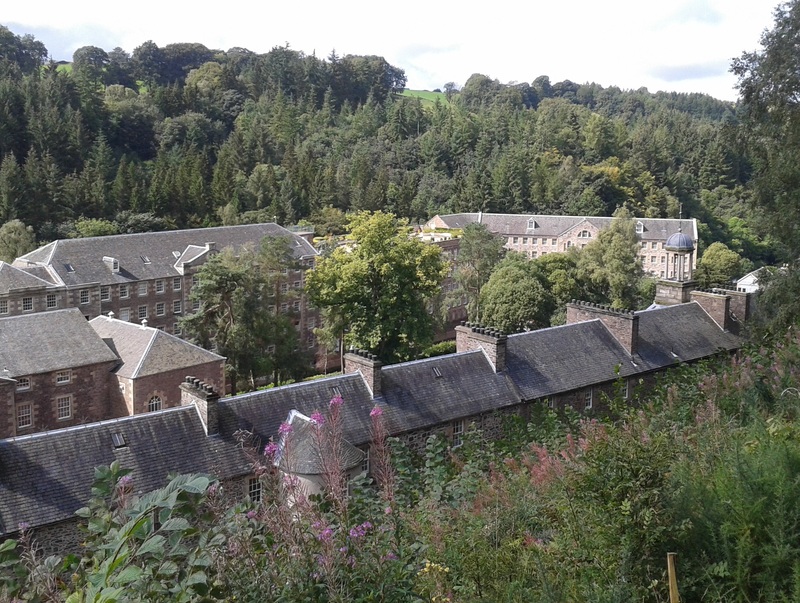 When cotton production ceased in 1968 the condition of structures at New Lanark deteriorated to the extent there was need for major restoration by the 1980’s. This resulted in an ambitious project as part of which there were ‘up to 250 workers per annum on building restoration, funded by Manpower Services Commission Community Programme.’ in the 1980’s. 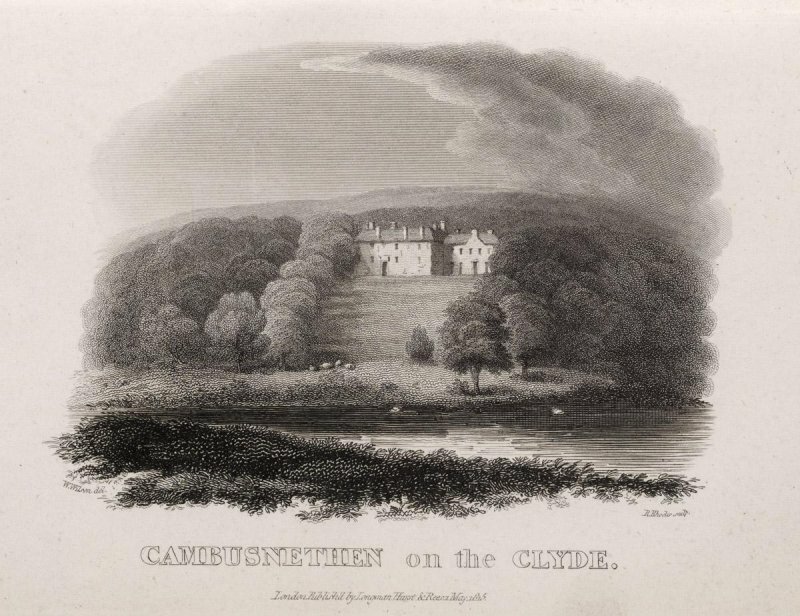 Presumably if there had not been such an ambitious intervention (and without the sustained passion, enthusiasm and commitment of individuals and organisations who champion heritage sites) New Lanark would have continued to deteriorate and there would have been no World Heritage Site designation. The associated opportunities for education, tourism and other forms of cultural activity would have been lost. In an alternative heritage future of the past, we would now have been left with ruinous shells, or perhaps due to safety issues or a desire for quick development of a ‘brown field site’ it would have been torn down and today we would be left with a poor quality flatted development of the 1990’s building boom. Historic building regeneration projects can be enormously challenging in technical and financial terms but when completed provide enormous potential to generate hubs of social, economic and cultural activity. There is a huge resource which provides remarkable opportunities but it takes real vision and determination to deliver such projects. the building is lost to society for ever. Thus heritage professionals have an important role in reminding people to think in the longer term. But perhaps we should also be challenging others, such as architects and developers, to propose imaginative new schemes to re-purpose and re-vitalise heritage assets whose value (in social and cultural terms) when actively used only increases with time. 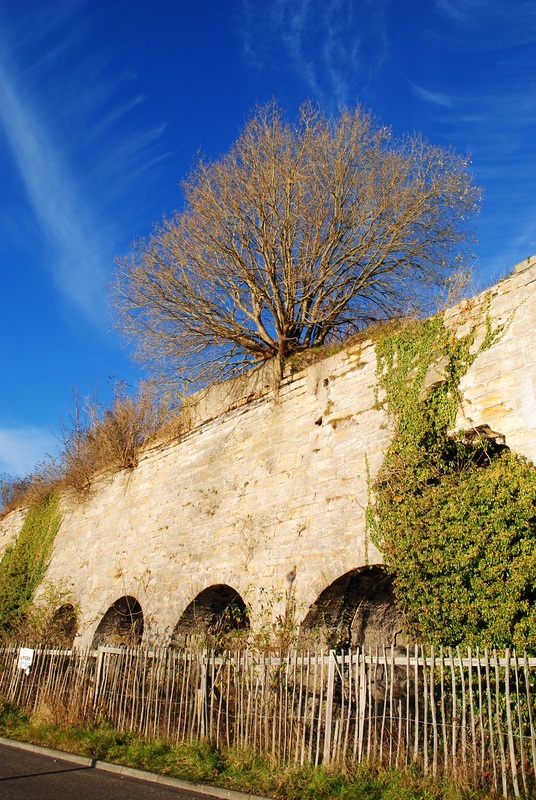 On a positive note the newly launched Inner Forth Landscape Initiative has identified a project for the clearance of vegetation and consolidation of the Charlestown Limekilns, surely a step in the right direction for a new heritage future. A great example of re-purposing, recycling and renewal.